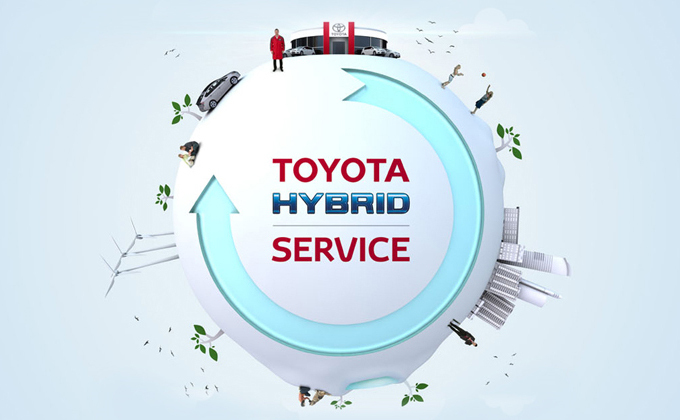 With a national network of highly trained Hybrid Experts, highly affordable Hybrid Health Checks and up to 10 Year Battery Care*, servicing your Toyota Hybrid taxi has never been easier. An annual Hybrid Health Check at your local Toyota Authorised Repairer is the best way to ensure you are getting the most from your Hybrid. Our technicians will test the whole Hybrid system and compile a written report that gives you all the information you need in order to understand the health of your Hybrid car. Diagnostic test of the hybrid system. Booking a Hybrid Healtch Check for your taxi has never been easier. Simply click the link below and enter your car registration number to begin the booking process. Prices displayed are Recommended Retail Price inclusive of VAT at 13.5%. View terms and conditions.